Many successful business houses today, are preferring to build their e-Commerce websites using Magento. Many successful business houses today, are preferring to build their e-Commerce websites using Magento. Irrespective of the industry the business falls under, or the target audience or organizational goals, Magento provides the perfect platform for creating a fully functional e-Commerce site. And, you’ll do more than good if you choose to hire our experienced Magento developers for building the same for you. You can connect with us for Magento development at any level. We, at UAE Website Development, have the perfect team comprising some energetic, skilled and experienced Magento developers, and this is your opportunity to hire us for developing a fantastic, feature-rich e-Commerce website for your online business. We never fail to impress our clients, and our rich clientele speaks for the efficiency with which we work. So, connect with us today and give your business the perfect boost with the best e-Commerce website development using Magento. Why Choose UAE Website Development for Hiring Magento Developers? 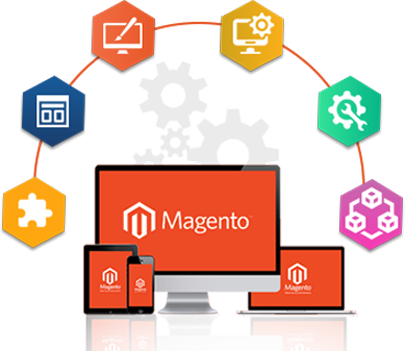 Magento is a great platform for developing a powerful online store, but it’s not possible for amateur developers to fully utilize the wonderful features that Magento provides. With us, you get the most skilled and experienced developers who can build a powerful and interactive online store that your customers would love to visit more often. Why Should you Hire Magento Web Developers? Magento is a great open source platform that can be used to build powerful and unique e-Commerce websites. Magento has a number of unique features, and the developers you choose must have the expertise of dealing with them to create a website that best fits your requirements. 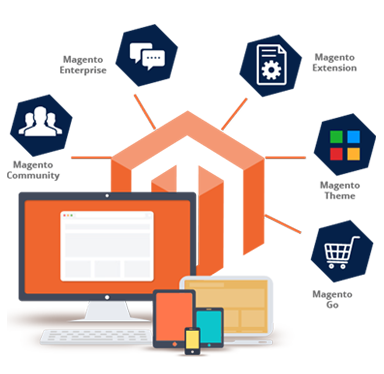 We, at UAE Website Development, have the perfect team, and our experienced developers are well capable of utilizing all the features of Magento to create an e-Commerce website that apart from being feature-rich, is sure to meet all your requirements. If you are worried about the cost, then don’t be. We can build fully functional websites using Magento at a truly affordable price. PSD to Magento conversion, and many more. Just make a call to hire a dedicated Magento developers to assist you. Most of the time, we are very responsive the queries. So, feel free to call us!